A new home is currently under construction in Mt Martha that will be auctioned off when completed with all profits from the sale donated to the Alfred Hospital, in particular, the Alfred Health Radiation Oncology (AHRO) department. Together with the Rotary Club of Dandenong South East, Masterline Homes and several other suppliers, The Southern Star Group is proud to donate valuable resources and products for this worthy cause. The AHRO are delivering an innovative prostrate cancer brachytherapy treatment, developed by their own researchers, that results in increased accuracy and effectiveness. The main goal of this fundraising project is to raise funds that help this treatment reach more patients. With more than 17,000 new cases of prostrate cancer diagnosed each year in Australia, this is a vital medical service that assists many people in the community. 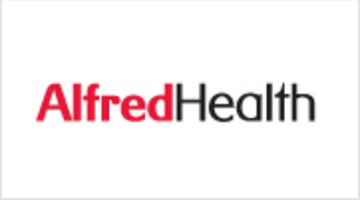 The Alfred Health Radiation Oncology unit is a premier Radiation Therapy service in Melbourne providing treatment at two sites: the William Buckland Radiotherapy Centre at the Alfred Hospital in Melbourne, and the Gippsland Cancer Care Centre in Traralgon. The centre's specialist medical staff provide expert advice for patients with malignant diseases, or for patients with benign disease that may be treated with radiation. In conjunction with the professional radiation therapist treatment staff they then administer any necessary courses of radiotherapy. The Southern Star Group looks forward to seeing the home complete, the results of the sale and the impact of the fundraising donation.